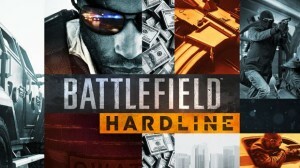 Visceral Games are making sure that battlefield Hardline won’t see the many issues Battlefiled 4 did “It seems silly to even have to say it, but when you buy a game it should work, and we take pride in delivering polished finished software,” Creative Director Ian Milham said. t released. Hopefully Visceral Games don’t go down the same path. To this day, with numerous updates with Battlefield 4, we still see countless issues…Many-a-time I have returned to the game, fingers crossed, hoping to be able to play without some area of frustration (other than repeatedly dying), but have left disappointed. Some patches over the last few months have been promising, but the latest update, which arrived a few days ago, brings back countless sessions ending, lag in-game, behind cover kills, rubberbanding, and horrible hit detection. DICE and EA were put on the spot last year and were struck with a law suit by the shareholders due to releasing the game, even though they knew the game was not complete to reach the release date promised. We may not like delays for games, but I think if development time is needed to be extended to give a complete version of the game, I’m all for it. Just don’t stick unrealistic release dates to keep pre-orders up then delay nearer the time. Tagged with battlefield hardline battlefield 4, bugs, developer, dice, ea, Electroinc Arts, frame rate, game, issues, release, sue, sued.